Native Americans call Aloe Vera “The Wand of Heaven”; Egyptians called it “The plant of immortality” Is this the natural healer in a plant? Aloe Vera, drink it; apply it, enjoy it. The health benefits seem endless. Now before you start buying or growing Aloe Vera thinking this will make your immortal. The Egyptians actually gave this as a gift to their deceased pharaohs, meant for their everlasting life in the other world. Hence the term “Plant of Immortality”. Instead, you might be better off buying or grow your own Aloe Vera, that way you could enjoy the health benefits here back on planet Earth. The outer leaf or layer and the inner leaf that contains the Gel substance you can see in the image below. 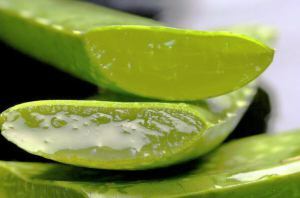 The Outer Leaf, which is bitter, contains aloe latex that has strong laxative compounds so for this alone caution needs to be taken. While there are, some health benefits from the outer leaf for minor irritations such as Sunburn there are reports to avoid using the outer leaf portion for any deep wounds as it can cause rashes to some people. The Inner leaf is the main portion that is of major interest for all concerned. Within its layers, there are sugars called polysaccharides, which have anti-tumor properties along with assisting the immune functions of the body. The healing properties that the gel provides also come from within the inner leaf. Aloe Vera is the plant, where you can drink it, apply it, and enjoy the many healing and health benefits available. Here are some of the many health and healing benefits Aloe Vera has to offer. Aloe Vera possesses antibacterial, antiviral and anti-fungal properties, which help the immune system to cleanse the toxins and any pathogens that are invading the body. The Enzymes found within the Wand of Heaven such as amylase and lipase help to aid the digestion where it breaks down the fat and sugar molecules it also helps to reduce inflammation. With such great properties mention above it is no wonder that this makes an excellent body cleanser, where it helps to remove toxic matter from the stomach, kidneys, bladder liver and the colon. When drinking the Aloe Vera juice the benefits it can help issues such and indigestion, ulcers and inflammation found in the gut. Because of its medical properties mentioned above, it helps to not only cleanse but also to strengthen the digestive tract thereby alleviating and inflammation. Aloe Vera has been found to be a great beneficial help in healing mouth ulcers along with being quite effective at removing plaque when compared to chemical options found in stores for the same purposes. This can be in the form of a drink where you can blend the fresh gel from inside the leaves or purchase the juice from many health food stores. The gel taken from the internal leaf can be applied directly to wounds, household burns, and sunburn. It is very useful for cracked lips, sores and fungal infections including sore gums this is due to the antibacterial, antiviral and anti-fungal properties found within the inner plant. If you look at the many skin care products around you will find Aloe Vera in many of them from soaps to creams. The reasons are many such as it helps to soothe the skin; it nourishes as well as hydrates the skin. Perhaps one way is to use the raw gel from the inner leaf and use this instead of the purchase skin cream. You will find that drinking Aloe Vera for a regular period can also help to improve the tone and add that glow to the skin. A study found that Aloe Vera could help to stabilise the blood sugar level for a diabetic. 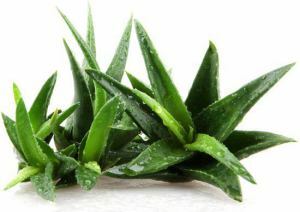 The study showed that patients taking Aloe Vera for 3 months showed a massive drop in the fasting blood sugar levels. At the same time, studies found improvements in a reduction of lower cholesterol levels in diabetics. Those diabetics suffering from that numbness feeling in the hands and feet can also benefit from either drinking Aloe Vera or from Aloe Vera supplements. I would love to hear your views on how Aloe Vera has helped you as well as ideas of how you add Aloe Vera to your diet and daily regime. Remember your support and advice can help many others reading this post. Please place your comments below so others can also benefit from your wonderful experience.